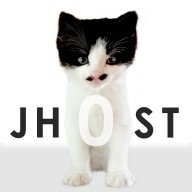 jh0st is a genre-bending composer and multi-instrumentalist. Both adept and inept, his music spans jazz to rock while alchemically blending melody and dissonance. Beginning as a classical pianist at an early age, he was studying at the university level by junior high school. After a hang gliding accident which left his wrist permanently impaired, he focused on saxophone where he learned the importance of ensemble playing and improvisation under the late George J. Horan. Turning to experimental jazz and rock in his high-school and college years, he continued to develop the ‘live’ ensemble sound even in his solo work. The freshman albums Animus (1986) and Resonance (1987) were mainly piano and saxophone compositions that explored modal improvisation bracketed by thematic jazz ‘heads.’ Statik 1,2,and (1989-93) introduced guitar and fretless bass within a wider ambient palette. In particular, statik 2 was heavily influenced by jh0st’s work as a session musician in the acid-jazz scene in Charlottesville, VA while statik 3 began to explore a more ‘american folk’ sound influenced by his exposure to jam sessions in the nearby Appalachian communities. At the same time jh0st joined forces with the post-punk band Wept (1987-91) playing guitar and occasional saxophone. Members of the band included Vorticite, Xopher Davidson, Chris Wassel, IReverend Brainskan, Rudenotse, and James Chandler and they would go on to make six records under the Xarrier label managed by Vorticite. jh0st’s subsequent collaborations with Erik Carlson, aka area c as bassist/vocalist for the project 16:16 (1991) would morph into the band Purple Ivy Shadows which then consisted of Erik Carlson, Chris Daltry, and Andrew Nimmo with jh0st on fretless bass. They would relocate to New York City to tap into the escalating east coast indie rock scene performing at such legendary venues as the now defunct CBGB’s and Wetlands. The following year after relocating to Cambridge, MA, jh0st would form B3ND3R (1995) with Andrew Nimmo and Stephen Bender, a short-lived but personally influential indie slop-rock trio where he contributed with guitar and vocals. After a 20-year hiatus, a major wrist reconstruction surgery, and a move to Seoul, Korea, jh0st is making steps back into the music world. More akin to a versatile actor that aspires to embody a broad range of personas rather than a musician fixed within a certain style, jh0st’s playing eschews market defined genres for ‘in the moment’ improvisation and sonic inflection. 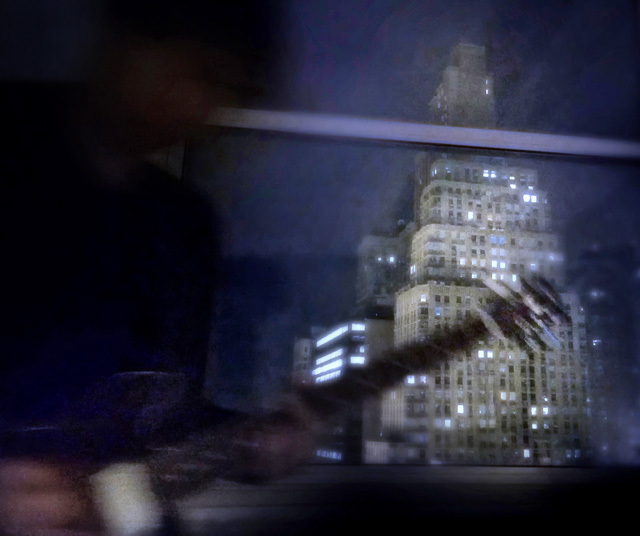 However his sense of composition and melody borrows from pop and no-wave in his effort to connect what he has called ‘the superficial distinction between the avant-garde and the radio-ready.’ jh0st is currently composing 3 new EP’s: n0va, modern bossa nova grooves; d’ville, southern influenced dark folk-rock; and magnetic resonance, a follow up to his 1987 recording, ‘resonance.’ He continues to collaborate with Soundcloud influencers Kid of Earth, Church of the Undecided, Gryflet, Frank Baker, Emilio GS, and many others while composing soundtrack work for the renowned architecture firm Project : Architecture.